According to the Mackinac Center’s recent survey, nearly 90 percent of Michigan voters agree that students should be able to choose a private or parochial school. However, many families are unable to afford the option. The average tuition at a private Michigan elementary school is $4,700 a year, and $7,800 a year for high school. But with its unusual model of financing through the Corporate Work Study Program, Detroit Cristo Rey High School makes a private education affordable. Statewide, six in 10 voters back the idea of providing tax incentives to encourage more private contributions to fund tuition scholarships. A slightly smaller share of Michiganders support the creation of education savings accounts. That type of program would provide parents with government funds to cover tuition and a wide variety of educational services outside the traditional public school system. Michigan’s restrictive state constitution currently stands in the way of providing children opportunity through such programs. But the U.S. Supreme Court has given them clearance, since parents are making the choice among different secular and religious options. Twenty-five states, including all of Michigan’s neighbors, offer at least some families a form of private educational choice. In the meantime, a small number of families have access to Detroit Cristo Rey High School, where motivated students can succeed. About a quarter to a third of arriving freshmen have attended one of the schools in the city’s shrinking Catholic school system, while the rest come from district or charter schools. The growing professional obligations students face as part of the Work Study Program are accompanied by a demanding 25-course credit graduation requirement. Students must take four years each of English, math, and science, and three years of Latin and social studies. One Advancement Placement class is offered to seniors. Teachers clearly post daily goals and expectations (“Students will be able to….”) on classroom walls, and then issue an “exit ticket” to students if they demonstrate knowledge of a relevant piece of material. “I think it’s something they subconsciously rely on without realizing it that every time they walk into a classroom there is an expectation that they are going to walk out being able to do that,” math teacher Abigail Carter observed. Cristo Rey students wear uniforms, earning the occasional “Free Dress Day” as an incentive for achievements and good behavior. A culture that supports campus safety is an attraction. School President Mike Khoury said that in the school’s earliest days, they were approached by a security company selling paid protection services. The school declined the offer, a decision it never has never regretted. “I can’t imagine having armed guards at Cristo Rey,” he said. The academic year is longer than most nearby schools, starting before Labor Day and going beyond the first week of June. Students arrive before 7:30 a.m. for the all-school assembly, then head off to class or board one of a dozen different vans to be transported to their work sites. Classes dismiss at 4:00 p.m.
Cristo Rey does not rely on importing the cream of the crop. Most students enter one to two years behind grade level. Comparisons of state standardized tests, including the ACT, show that within Detroit, Cristo Rey students trail only those at one charter and DPS’ two selective high schools. “The vast majority of our kids couldn’t get into Renaissance or Cass Tech,” Khoury said, referring to the two schools’ admission testing requirements. Seeing students accepted into postsecondary institutions does not mark the end of the high school’s commitment to the youth it serves. Every year, Khoury visits different college campuses to check in personally with some of the school’s alumni. Students make the transition with more confidence because of the job experience, he said. The class of 2016 earned the highest marks possible on the school’s own measures of college readiness. Cristo Rey tracks the academic progress of alumni who give the school permission to keep tabs on their college career. 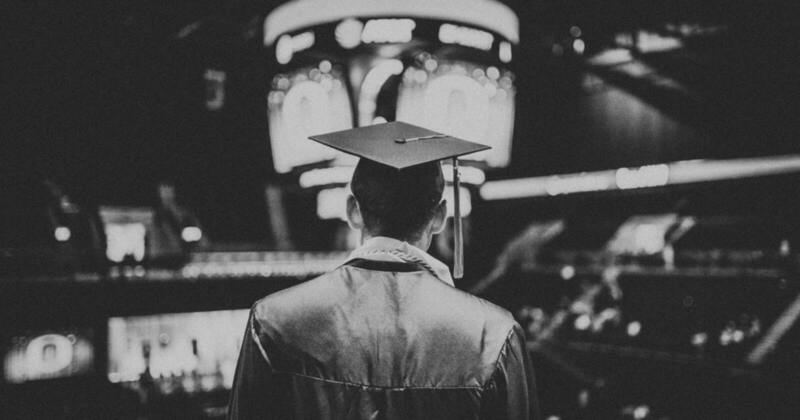 Currently, just under half of the school’s graduates end up earning a college diploma, twice the national average for high-minority, low-income urban schools. School leaders aim for a 70 percent college completion rate. The raw numbers may not be spectacular, but Detroit Cristo Rey helps to place its students on a positive trajectory. Chris was part of the school’s inaugural Class of 2012. During the spring of his junior year he scored a 14 on his ACT, improving to a 17 on his second try in the fall. He pieced together a resume that earned him admission to Michigan State University. Four years later, he emerged not only with a communications degree but also a $5,000 competitive grant to help him produce his first film. Cristo Rey High School need not be an anomaly in Detroit’s educational landscape. 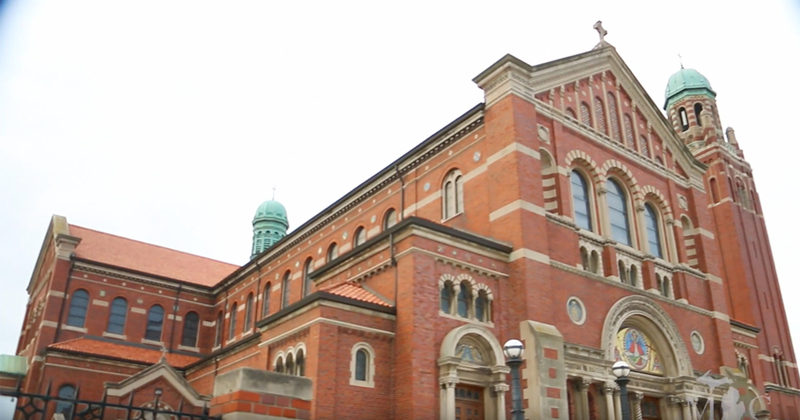 The school’s innovative model makes a unique opportunity accessible to low-income families, while helping to continue the strong legacy of urban Catholic education. Those who want to give Detroit parents access to a variety of effective educational choices can find inspiration at Cristo Rey.